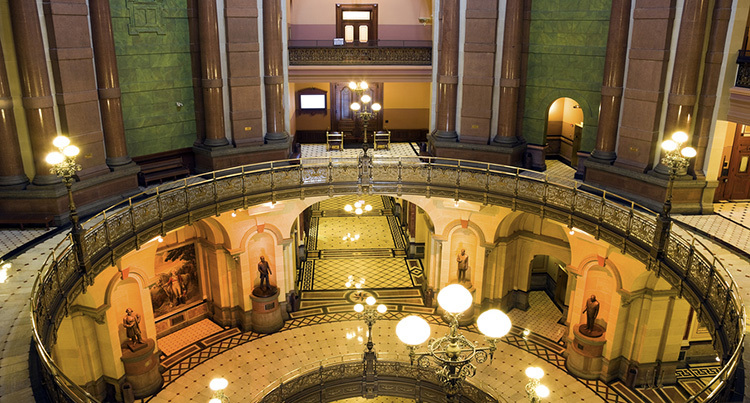 AASPI contracts the Illinois Capitol Group to coordinate its legislative initiatives. Lead lobbyist is Brian Wojcicki. With the start up of the 101st General Assembly, we anticipate nearly 10,000 pieces of legislation. Monitoring this legislation to insure bills unfavorable to the automotive repair industry do not get passed, is in of itself a full-time job but in addition to that AASPI’s legislative agenda includes passing legislation that improves the well being of the industry. Please follow the directions below to file an electronic witness slip on any legislation that IACS is calling for member action. Click on House or Senate; Committee Hearing; Week. SB2104 (AASPI’s Bill) Sponsored by Thomas Cullerton9 (D-Villa Park) This bill mandates that ALL repair estimates be written with OEM parts procedures and OEM parts. HB2255 (AASPI’s Bill) Sponsored by Representative Elizabeth Hernandez (D-Chicago) Is a companion bill to SB2104.